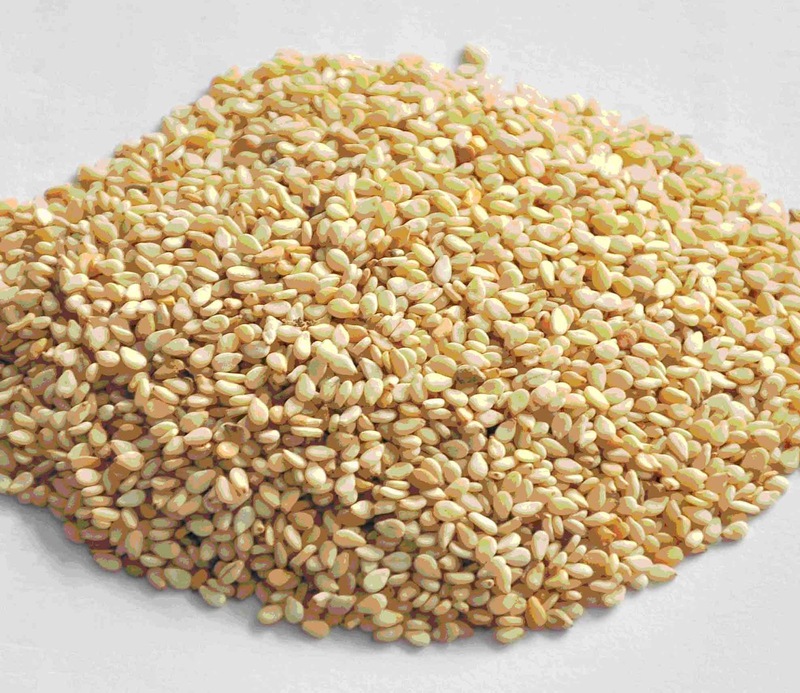 Highly valued in eastern, Mediterranean and African cultures, sesame seeds (Sesamum indicum) have been used for thousands of years to flavor foods, provide essential fats and enhance skin health. 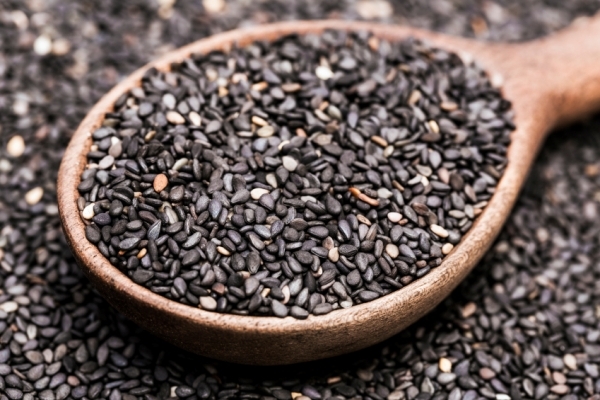 Sesame has one of the highest oil contents of any seed and a rich, nutty flavor, which is why sesame oil, tahini and the seeds themselves are common ingredients in cuisines across the world. Sesame seeds are an excellent source of copper, a very good source of manganese, and a good source of magnesium, calcium, phosphorus, iron, zinc, molybdenum, and selenium. In addition, copper plays an important role in the activity of lysyl oxidase, an enzyme needed for the cross-linking of collagen and elastin—the ground substances that provide structure, strength and elasticity in blood vessels, bones and joints. Copper is known for its use in reducing some of the pain and swelling of rheumatoid arthritis. Copper's effectiveness is due to the fact that this trace mineral is important in a number of antiinflammatory and antioxidant enzyme systems. Oil pulling has been used for oral health for thousands of years in Ayurveda to reduce dental plaque, whiten your teeth, and boost overall health. The high zinc content helps produce collagen, giving skin more elasticity and helping repair damaged body tissues. Regular use of sesame oil can reduce skin cancer. Another reason for older men to make zinc-rich foods such as sesame seeds a regular part of their healthy way of eating is bone mineral density. Although osteoporosis is often thought to be a disease for which postmenopausal women are at highest risk, it is also a potential problem for older men.